A new report by the Governors Highway Safety Association (GHSA) highlights excessive vehicle speed as a persistent factor in nearly one-third of all motor vehicle-related fatalities in the USA, and looks at potential solutions to the problem. 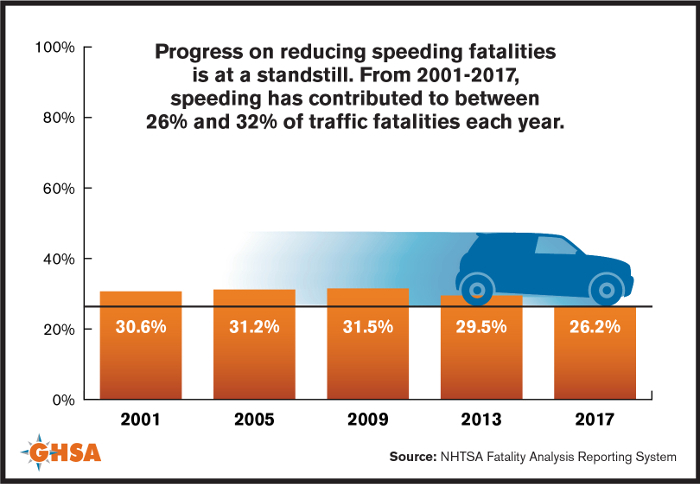 Although there has been progress in other areas of road safety, such as increased seatbelt usage and fewer drunk driving deaths, speeding continues to be a contributing factor in a significant number of roadway fatalities across the USA. In 2016, there were 9,717 people who died in speeding-related crashes, equating to 26% of all fatalities. Despite the high casualty figures, the GHSA says speeding is not given enough attention as a traffic safety issue and is widely deemed culturally acceptable by the motoring public. 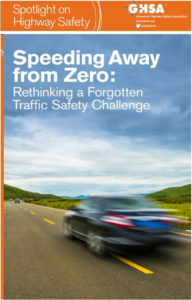 The organization’s new report, Speeding away from zero: Rethinking a forgotten traffic safety challenge, takes a fresh look at this challenging topic, outlining the latest available data and research, federal and state policies, existing programs to reduce speeding-related crashes, and promising future approaches. 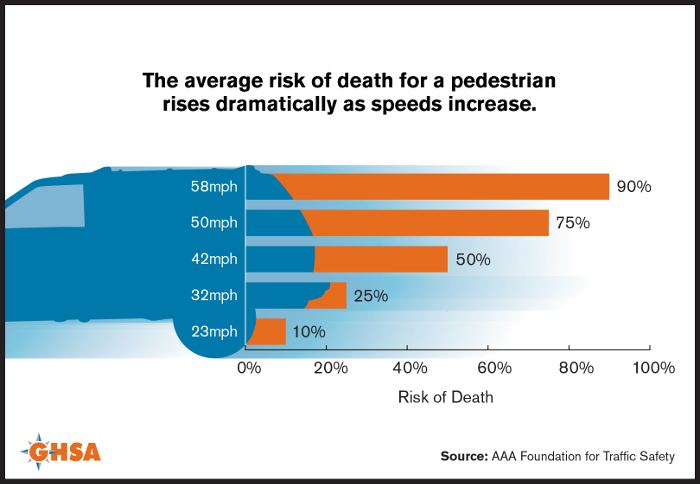 The study notes that speeding by motorists particularly threatens the safety of pedestrians and bicyclists by not only increasing the chances of a crash, but also increasing the risk of serious injury or death when crashes occur. On the other hand, even small decreases in travel speed can reduce crash and injury severity and save lives. Engineering the built environment for safer speeds through roundabouts and other traffic-calming elements. The GHSA’s State Highway Safety Office members are uniquely positioned within state government to launch new speeding reduction programs, spearhead public education and enforcement efforts, and coordinate broad stakeholder alliances. To confront the issue of speeding directly, the GHSA, in partnership with the Insurance Institute for Highway Safety, is convening a speeding forum this April, bringing together a wide range of stakeholders to develop the architecture of a new, integrated speed management program that state highway safety agencies and their many partners can implement in tandem to convince motorists, improve roadways, and change culture to prioritize safety over speed.